Above all else, your lawn, and the other living components of your landscaping, require water to survive. Yet, you don’t want your grass to just survive, you want it to thrive, and Dan’s Landscaping Company, Inc knows this. Contrary to popular misconception, you don’t have to be in drought conditions to need to water your greenery. Watering is something that should be done on a regular basis, especially during the establishment stage of grass or plant life, and during dry conditions. Yet thinking that using a hose to water your own yard is enough to see results, is a erroneous belief that will have your lush lawn turning brown in no time. We don’t just want you to consider an irrigation system, we want you to better understand why it is that you need one. First and foremost, obviously, this is about keeping your greenery healthy. Having a regular watering schedule is what will make that possible, and it is not realistic to plan to water by hand on a frequent enough basis to be effective. Keeping your landscaping looking its very best is vital for curb appeal and property value. Let’s face it, when the grass starts to brown, your property value starts to go down. This also helps reduce water waste, which has two benefits: lower operational costs and a more Eco-friendly household. Automatic watering removes the guess work and eliminates water waste as a result of run off and evaporation. So while many people think irrigation uses more water, it can actually help conserve, lowering your bill by as high as 70%. 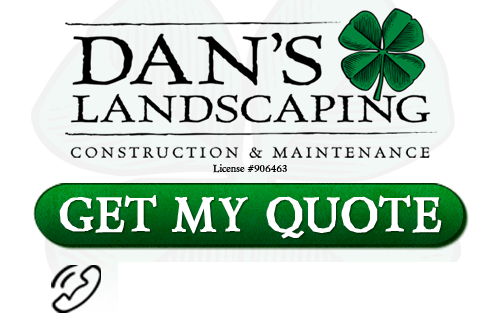 Dan’s Landscaping Company, Inc is a company name that has become synonymous with superior quality results. We take this line of work seriously and are dedicated to helping our clients comprehend the benefits of irrigation. Everything we do works together to help provide you with stunning landscaping, as well as help keep it that way. 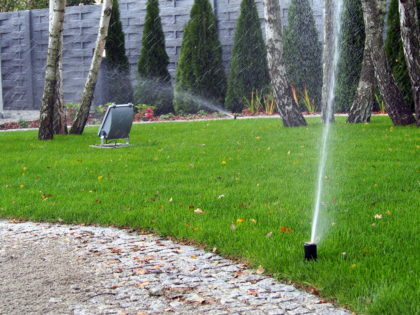 If you are looking for professional San Luis Obispo Irrigation System Installation then contact Dan’s Landscaping Company at 805-550-5488 or complete our online request form.